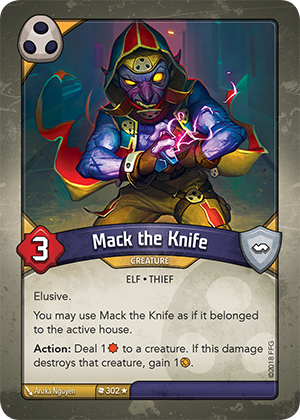 You may use Mack the Knife as if it belonged to the active house. Action: Deal 1 to a creature. If this damage destroys that creature, gain 1 .